Thanks so much for sharing your talent by offering your online class. I really enjoyed the process. 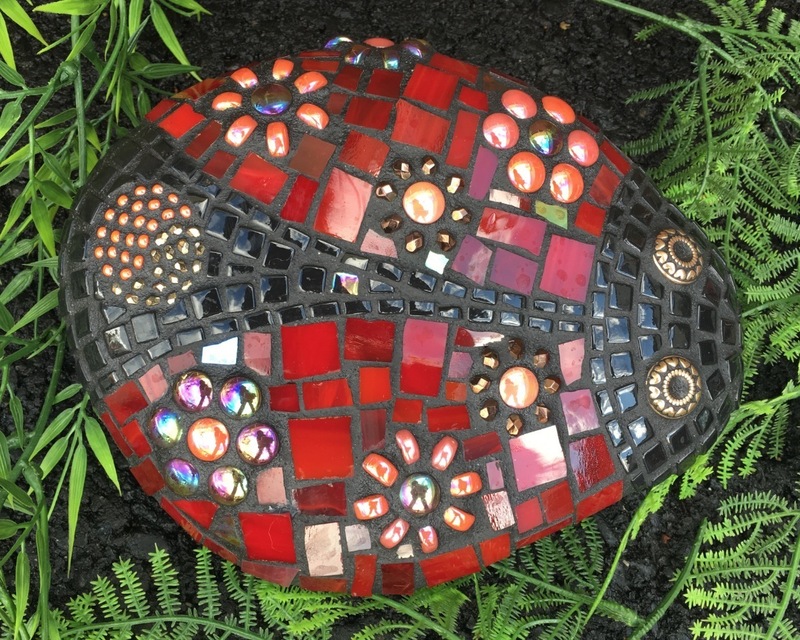 My first may not be perfect but I am really proud of my mosaic rock. Your step by step instructions were easy to follow and the ability to repeat each video helped insure that I didn't miss anything. 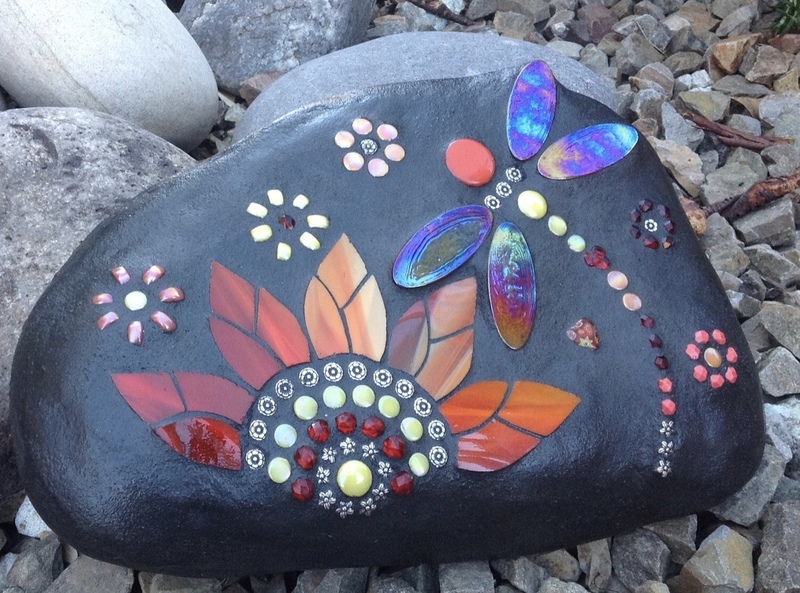 I have one more mosaic rock that will be completed this weekend and so I am equally excited to see how it turns out. I also have a pile of rocks just waiting for their turn to be transformed into an amazing work of art. I actually feel for the first time in my life that I am an artist and that is an incredible feeling. I have opened my Online Class for Early Enrollment and I am offering a $40.00 discount!!! Check it out by following the link provided. Click the "online class" button and your on your way to exploring the possibility of an Exciting, Creative future awaiting you! Let's Rock! 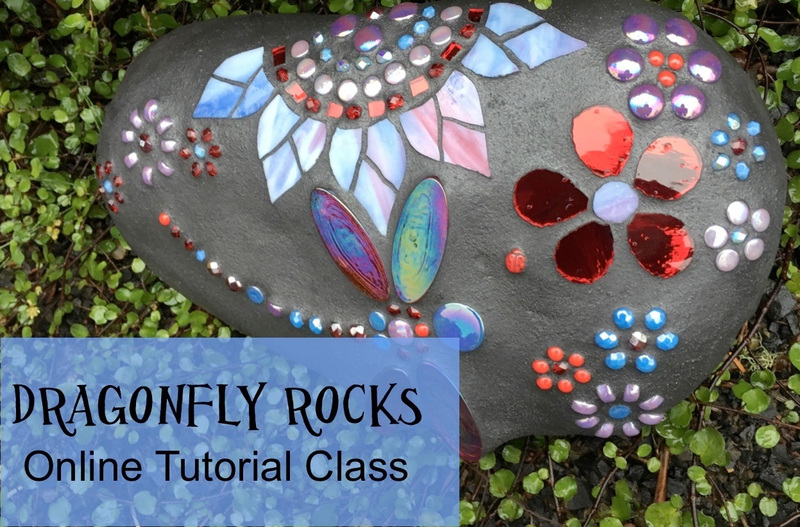 My online tutorials will teach you how to make your own beautiful rock creation! Stay tuned for the launch of my video classes soon!